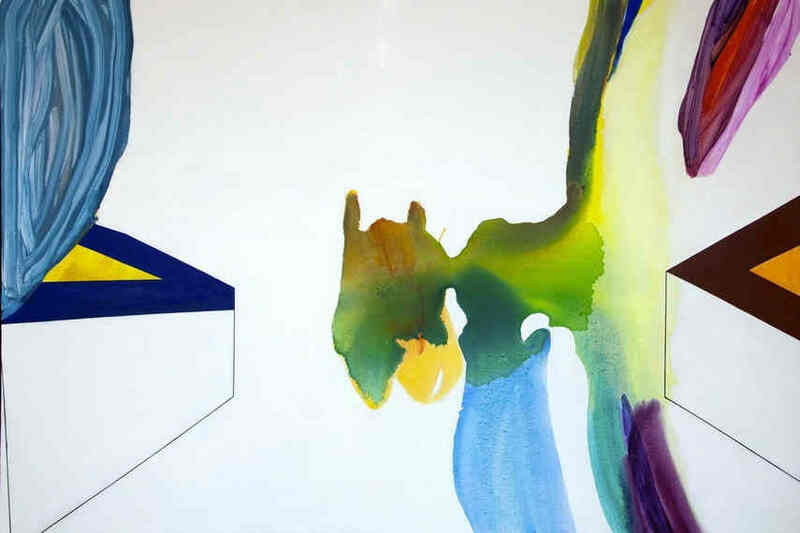 Expressing observations and emotions throughout the abstraction in the practice of Laura Newman is a task she carries on with almost architectural precision. The way she juxtaposes the elements and manages brushwork suggests a strong dedication to the very process which is based on the idea of constant refurbishment and the factor of surprise. 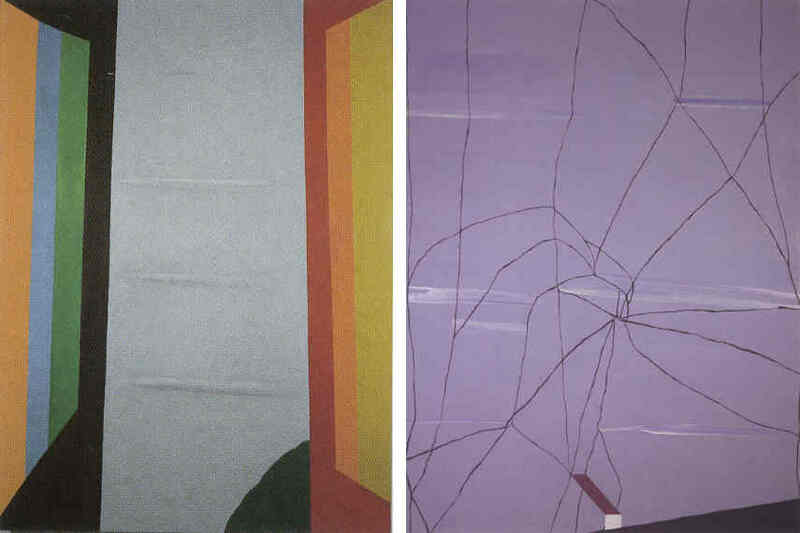 Newman’s is essentially interested in both introducing new forms and examining the specter of possibilities of transferring various space planes on canvas. Therefore, it can be said that the artist is searching for the new meaning of two-dimensional surface by creating illusionary environments subjected to insertion of spectators thoughts, aspirations or desires. Laura Newman was born in Cleveland, Ohio, in 1956. At the Cooper Union School of Art she received BFA and studied at the California Institute of the Arts and the Nova Scotia College of Art and Design Graduate Program, as well. Her academic development was additionally polished after receiving awards and fellowships from The John Simon Guggenheim Foundation, The American Academy in Rome, The New York Foundation for the Arts, Yaddo, The MacDowell Colony, and The American Academy of Arts and Letters. In between 1993 – 1997 she was and Assistant Professor at Yale University School of Art in New Haven, and then in 1998 she became an Associate Professor in the Art Department at Vassar College where she is teaching at present. Apparently, Newman is captivated within the modernist canon of the everlasting reduction and purification of the image, yet her gestures and the way she accesses to material suggests more open and tame approach. 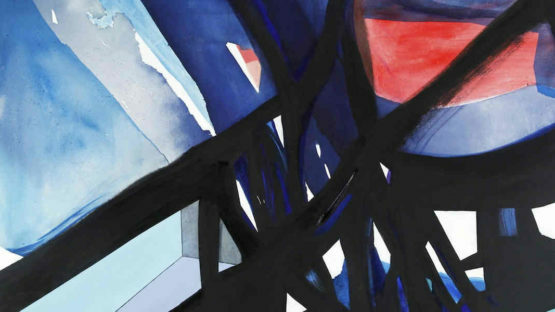 Her large-scale canvases are created primarily with oils and acrylics and smaller works on paper created with ink, watercolors and other mediums. By applying staining, pouring, and a combination of gestural and meticulous mark making, she imprints a certain performative potential to the process by letting go to unexpected results. The selection of ephemeral colors, dynamic forms and various optical effects contribute to the atmosphere of evocative images she produces. 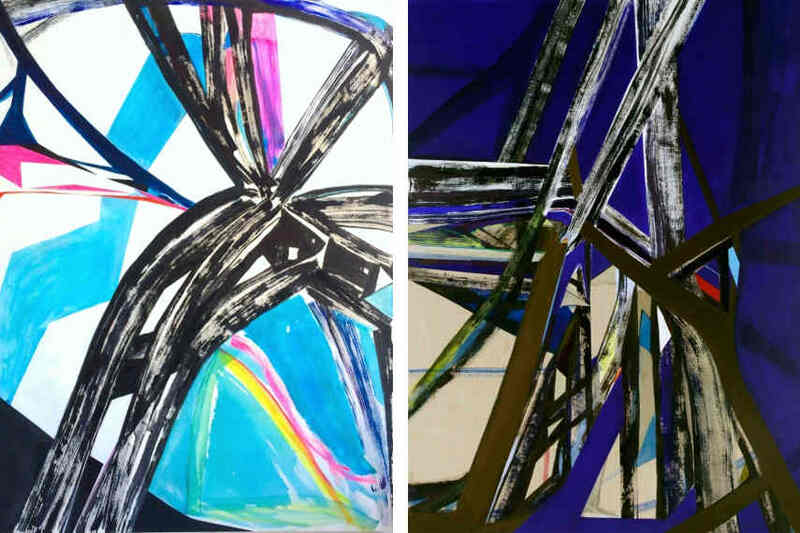 The harmonious and hard-edge geometric spatial arrangements of Laura Newman have rooted in with fine examples of Abstract Expressionism respectively Color Field painting. However, what departs her practice from those influences and makes it upgraded and contemporary is the rather conceptual aspect. The notable motif of the window, as a symbol of entrance or gap to another reality, is dominant in her work for sometimes and reveals the artist’s need to articulate her personal position in space and time. The freedom of open spaces suggests distance and exploration, contemplation and new horizons. As a matter of fact, it seems as if Newman enjoys in the interplay between representation and abstraction in order to obtain harmony and simplicity. Both academic and artistic achievements of Laura Newman show the continuum of her activity in past few decades. She has exhibited in multiple solos and group exhibitions in galleries and museums along the US East Coast and in Canada. 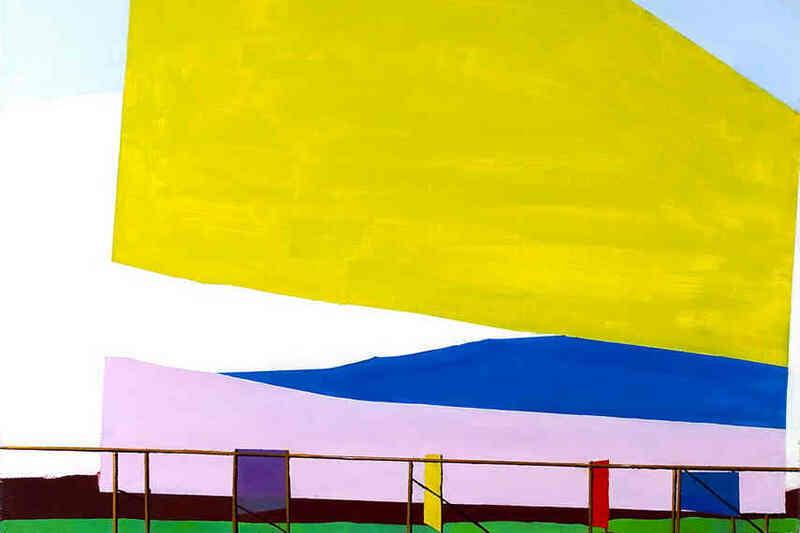 The University of Arizona or IBM Corporation and several others included the works of Newman in their permanent collections and several important reviews of her exhibitions were published in Artforum and The New York Times. Her outstanding and distinct focus on making calm and contemplative images position her oeuvre as a fine example of contemporary easel painting. The artist is represented by Ideel Art. Laura Newman lives and works in Brooklyn, New York.